I’m in the process of cleaning out my office/studio workspace in preparation for some house renovations. This has meant slowly going through all of the art supplies, materials, half-finished pieces, bits and bobs, etc. accumulated over the past 7 years. To say I have a lot of such things would be an understatement. If nothing else, this endeavor has made me come to a realization. Hello, my name is Amanda, and I’m a serial hobbyist. 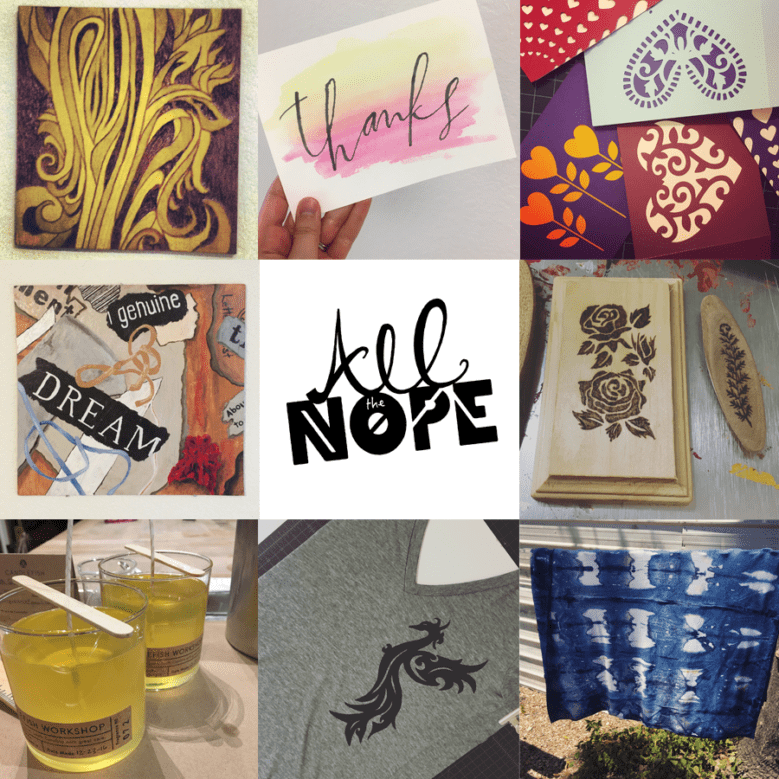 If it can remotely be considered artsy or craft, chances are good I have tried it. Combine this with my tendency to not want to waste anything if it can possibly be used later, and we’re talking a serious creative clutter problem. Think I’m exaggerating? Cast your eyes on the following. In case you needed evidence. Am I good at all of these? Hell no. And I stuck with some longer than others. Some I only tried once. But I still have the materials for an alarming number of these pursuits. And this doesn’t even get into non-visual creative things, like baking or music. Or things more directly related to design, like classes in typography or branding or book cover design (all of which I have also taken). It’s not likely to stop any time soon, either. Because a creative mind is a curious mind and there’s still more to explore. Yeah, a lot of these are more involved or require more specialized/expensive equipment than in the first list, which is a good part of why they remain untried. But they are on my radar. I’d also like to get better at some of the things in the first list, so I’ll have plenty to keep me busy in my free time. Meanwhile, wish me luck on my office clean-out. If you don’t hear from me next week, I’ve been buried by art supplies. 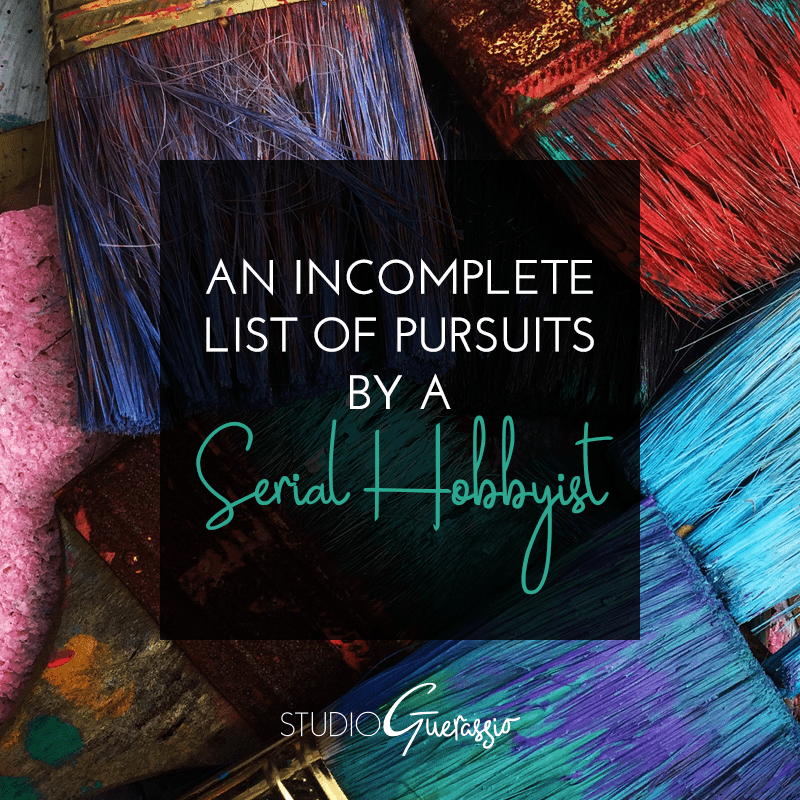 Are you a serial hobbyist as well? What kinds of things have you pursued? *Incomplete because I’m sure I’m forgetting something. **I also just discovered while writing this that The Contemporary Austin Art School has a whole bunch of interesting classes for adults, so yeah… not abating any time soon.